Steel, iron ore and metallurgical coal prices have continued to enjoy high prices and margins in 2018. However, political uncertainty has also increased. Policy announcements from Beijing remain the overriding influence on iron ore and coal markets, but global trade disputes pose direct and indirect risks to steel markets and could hasten the end of the present spell of growth. Against the backdrop of such volatile landscape, the Tokyo Bulks Forum will explore the key risks, ongoing impact of global policy, and the long-term opportunities. Hide Kato is heading Japan office, based in Tokyo. Hide joined Wood Mackenzie Sydney in March 2010 as metals and mining client manager and worked with various mining companies in Australia. From 2013, Hide moved to Wood Mackenzie Tokyo and is managing metals and mining clients in Japan. Currently working as Metals and Mining Global Practice Group Lead in Wood Mackenzie, Hide is involved in commercial strategy development for Wood Mackenzie metals and mining products. Hide has been in the market information industry more than 15 years having experience in global market research firms. In the previous role, Hide worked for Thomson Reuters Australia as sales team leader. His main focus was Commodity and Energy sector. Hide has a Bachelor of Arts from Keio University. Steel prices: where are we in the cycle? Valentina joined Wood Mackenzie in 2013 as an analyst in the Steel and Iron Ore Markets team. She is based in Wood Mackenzie’s London office. Since joining Wood Mackenzie she has worked on steel end use demand models, focussing on finished steel consumption by the construction, automotive, and other steel consuming sectors in the European Union, Turkey and Japan. Prior to joining Wood Mackenzie, Valentina worked as steel and iron ore cost analyst for a business intelligence group, and as Eastern Europe analyst for a consumer goods intelligence company. Valentina holds a Laurea degree in International Relations from the University of Trieste and an MA and PhD in Political Science from University College London. Environmental protection - Is scrap the answer? 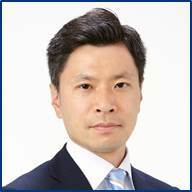 Ming manages Wood Mackenzie’s Eastern Asia Metals and Mining team. He joined Wood Mackenzie’s Beijing office in 2012 as a cost consultant on the iron ore and steel cost service. He has nine years’ consulting and research experience with a specific focus on the metals and mining sector. He also has extensive technical and market knowledge in steelmaking and iron ore mining, as well as advanced knowledge of financial analysis and evaluation, having passed the CFA level II exam. Prior to joining Wood Mackenzie, Ming worked for CRU Group as a cost analyst on steel and iron ore cost models. Besides research, he also contributed to single-client strategy projects in iron ore, coking coal, coke and steel. Prior to this, Ming was a research analyst in McKinsey’s Basic Material Institute team in Shanghai, supporting consulting projects worldwide. He also engaged in consulting projects for local Chinese steel companies. Ming holds a Ph.D in Microelectronics from Delft University of Technology (The Netherlands), an MSc in Materials Science from Tsinghua University, and a BSc in Materials Science from University of Science and Technology, Beijing. Kim joined Wood Mackenzie in 2016 as a Senior Research Analyst in the Iron Ore Costs team. 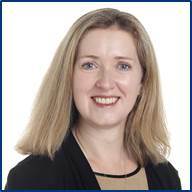 She is based in Wood Mackenzie’s Perth office. Prior to joining Wood Mackenzie, Kim worked as an analyst with BHP in business and project development, primarily on cost modelling. She also worked for 10 years as a research analyst in the investment banking industry, both in Australia and London. Since joining Wood Mackenzie she has worked on global iron ore costs focussing on the cost analysis of iron ore assets in Australia, Africa, Russia, Ukraine, India and China. Kim holds a Bachelor of Economics (Hons) from the University of Western Australia and a Graduate Diploma in Applied Finance and Investment from The Securities Institute of Australia. How are demand patterns changing? Australian suppliers: where are the threats? Robin joined Wood Mackenzie in 2003 and has spent considerable time in both coal consulting and research roles. Consulting assignments included project due diligence, market assessments, price forecasting and coal procurement. An integral part of the research team since 2007, Robin has undertaken global mine cost estimation and supply analysis for both coal and base metals. Robin joined the coal markets team in 2012 and is now responsible for global metallurgical coal markets analysis. Prior to joining Wood Mackenzie Robin spent 7 years in the power and coal industries in Hong Kong, India, Indonesia and Australia undertaking coal procurement, coal exploration, project development geological and engineering roles. Robin also worked as a coal marketer selling thermal coal in Asia. Robin holds a BSc (Hons) in Geology and an MSc in Mining Engineering, from Camborne School of Mines, UK. Is coal’s competitiveness changing in the power sector? Supply, costs and projects: what will set the benchmark price? Prakash has over 26 years’ experience in energy and metals & mining and climate change policy developments, ranging from operational management to commodity trading and business strategy. He joined Wood Mackenzie in 2006 and is currently based in Beijing. He leads integrated analysis and cross-commodity discussions for China. He has presented to board and senior level management teams, as well as at major industry conferences. Prakash’s extensive experience in the commodity sector includes export of steel-making raw materials (metallurgical coal, iron ore and scrap) and energy coal to China for an established Canadian trading firm. He has also spent nine years in the mining industry specialising in technical services, international sourcing and ISO 9001 certification. Prakash is a Mining Engineer with an MBA from the International Management Institute in India.